14059. MANY NIGERIANS ON THE ALTAR HAVE APPROACHED ME TO PRAY FOR THEIR COUNTRY AS THE ELECTIONS APPROACH, BUT I REFUSED TO PRESS THE PANIC BUTTON! I SAW THROUGH THEIR FEARS AND I KNOW THE PRAYER OF FEAR CANNOT BE ANSWERED BY GOD! MULTITUDES OF SELF-CENTRED PROPHETS AND PROPHECIES HAVE BEEN SPOKEN OUT OF EMOTIONAL, TRIBAL, SELF-PRESERVATION, AND OTHER PECUNIARY SENTIMENTS, AND THEY HAVE GATHERED A HORDES OF DISCIPLES ONLINE, INCLUDING BLISSFULLY AND SHAMEFULLY IGNORANT ONES FROM THIS ALTAR. I REFUSED TO SWIM IN NOISE POLLUTION OF THESE EMOTIVE PROPHECIES, SO I MAINTAINED MY DIGNIFIED DISTANCE FROM WHERE RABBONI DID NOT SENT ME TO, AND MY MAJESTIC SILENCE FROM WHAT HE DID NOT COMMAND ME TO SPEAK! BUT THIS NIGHT ON THIS DAY OF NIGERIAN PRESIDENTIAL AND LEGISLATIVE ELECTIONS YAH HAS SPOKEN WITH THE CLARITY OF HEAVEN’S CRYSTAL RIVER! I HEARD IN MY SPIRIT “SON OF MAN, THOU SHALL SPEAK OVER NIGERIA AND SAY: “EVERY CONSPIRACIES TO DESOLATE NIGERIA BY BLOOD MERCHANTS ARE THWARTED! THWARTED! THWARTED! NIGERIA SHALL BE REBUILT! NIGERIA SHALL BE INHABITED! THE DECAYED PLACES THEREOF SHALL RESURRECT AND SHEW FORTH MINE GLORY” SELAH! NIGERIA, HEAR THE WORD OF THE LORD: THE YOKE OF DOUBLE SERVITUDE IS TAKEN OF THY SHOULDER AND DESTROYED FOREVER THIS DAY IN JESUS MIGHTY NAME! THE PLOT OF DOUBLE SLAVERY IS UTTERLY DISGRACED IN JESUS NAME! ARISE NIGERIA! ARISE NIGERIA!! ARISE NIGERIA AND SHINE FOR THY SET TIME IS COME!!! SAY UNTO THE COBRA! SPEAK UNTO THE SHARK! CRY AGAINST THE ROARING LION! MY SERVANT THE CROCODILE WHOSE RIGHT HAND I HAVE HOLDEN SHALL DO MY WILL, COMPLETE THE FOUNDATIONS OF MANY GENERATIONS I HAVE ANOINTED HIM TO REBUILD! SELAH! 14060. THE PLOT OF THE MERCHANTS OF BLOOD HAVE BEEN “THWARTED! THWARTED!! THWARTED!! !” IN JESUS NAME. THERE SHALL BE PEACE LIKE A RIVER OVER NIGERIA! THE POSTPONEMENT BY ONE WEEK IS THE WEAPON OF YAHWEH TO DISMANTLE AND THWART THE PLOT OF THE TROIKA OF DOUBLE SERVITUDE! SELAH! 14061. ONE OF MY DAUGHTERS ASKED ME YESTERDAY THAT SHE FOUND IT ODD THAT RABBONI HASN’T SPOKEN TO ME SINCE THESE ELECTIONEERING SEASON CONCERNING NIGERIA. SHE SAID SHE WAS SURPRISED THAT I HAVE DELIBERATELY NOT RAISED ANY PRAYERS ON THE ALTAR CONCERNING NIGERIAN ELECTIONS! I TOLD HER THAT PRAYER OF FAITH IS BETTER THAN PRAYER OF FEAR, AND YOU CAN NEVER PRAY A PRAYER OF FAITH WITHOUT FIRST HEARING GOD. FOR FAITH COMETH BY HEARING, AND HEARING BY THE WORD OF GOD! I TOLD HER THAT I JUST HEARD A WORD “THWARTED!” REPEATED THREE TIMES IN MY SPIRITMAN. SINCE I DON’T UNDERSTAND WHAT IT MEANT, I WILL MAINTAIN MY COOL! IF RABBONI WANTS TO SPEAK TO ME, WE HAVE OUR EXCLUSIVE COMMUNICATION CHANNELS. ONCE HAVE GOD SPOKEN, TWICE HAVE I HEARD! UNTIL I HEAR HIM A SECOND TIME, I DON’T JUMP INTO ANY SPECULATION! 14062. ANOTHER DAUGHTER SEEKS TO UNDERSTAND THE CODED LANGUAGE OF MY EXCLUSIVE COMMUNICATION CHANNELS WITH YAHWEH! LET ME TRY TO DECODE A LITTLE. I CAN’T TELL YOU EVERYTHING BECAUSE OF SPIRITUAL SECURITY PURPOSES. LONG LONG TIME AGO, THE LORD OPENED MY EYES TO SEE THE FOUR PRINCIPALITIES AND POWERS THAT RULE NIGERIA. LISTEN TO ME, IN THIS YEAR OF OUR TERRITORIAL RULERSHIP, YOU NEED TO KNOW THIS SECRETS IF YOU DON’T ALREADY KNOW IT BECAUSE I HAVE TAUGHT YOU THIS BEFORE NOW. THERE IS NO NATION ON EARTH WHICH IS NOT GOVERNED TO ONE DEGREE OR THE OTHER BY PRINCIPALITIES, POWERS, RULERS OF DARKNESS AND SPIRITUAL WICKEDNESS IN HIGH PLACES! YOU WASTE YOUR TIME IF YOU’RE PRAYING AGAINST INDIVIDUALS. MANY OF THESE HEADS OF STATES ARE COMPLETELY IGNORANT OF THESE COSMIC RULING POWERS IN HEAVENLY PLACES. WHAT A TRUE RABBONI DISCIPLE AND TERRITORIAL RULER SHOULD DO IS TO WRESTLE (EPHESIANS 6:12) TO EXEMPT HIMSELF OR HERSELF FROM THE PERNICIOUS INFLUENCE OF THESE TERRITORIAL POWERS. YOU CAN’T STOP THEIR RULERSHIP BUT YOU CAN CURB AND TERMINATE THEIR INFLUENCE UPON YOUR LIFE AND FAMILY, AND UPON YOUR LEADERS AND HEADS OF STATES AND LAWMAKERS AND GOVERNORS AND ADMINISTRATION OF THY COUNTRY. THIS MEANS EVERY NATION HAS AN HIERARCHY OF DEMONIC PRINCES OVER THEIR COUNTRY, COMMUNITIES, AND LOCALITIES. WE HAVE PRINCE OF NIGERIA, PRINCE OF KENYA, PRINCE OF UGANDA, PRINCE OF ZAMBIA ETC. ETC. THE PRINCE OF NIGERIA SUBDIVIDED HIS RULE AND DELEGATED POWER TO FOUR PRINCES TO RULE NIGERIA. THE 4 PRINCES ARE SYMBOLICALLY REPRESENTED BY FOUR WILD BEASTS! 14063. LISTEN TO ME AND DON’T BE CONFUSED. ALL THESE POWERS ARE SERVANTS OF YAHWEH WHO IS THE KING OF kings AND LORD OF lords, HE IS THE SOVEREIGN CREATOR OF THE UNIVERSE! GOD OCCASIONALLY USES THEM TO ACCOMPLISH HIS WILL AND PREDESTINED COUNSEL FOR ANY NATION OR COMMUNITY. GOD CALLED KING NEBUCHADNEZZAR OF BABYLON, AND KING CYRUS OF PERSIA MY SERVANT (JEREMIAH 27:6; ISAIAH 44:28-45:4) SAME WITH PHARAOH, THEY WERE USED AS INSTRUMENTS OF HIS WRATH TO PUNISH BACKSLIDDEN ISRAEL. GOD ALSO USES THESE EARTHLY WICKED RULERS AT OTHER TIMES TO FAVOUR HIS PEOPLE. THE SAME WAY GOD USES SATAN AND HIS PRINCIPALITIES OVER NATIONS BOTH TO PUNISH AND DISPENSE JUDGEMENTS, HE CAN USE ANY EARTHLY AND WICKED RULER EVEN IF UNDER THE INFLUENCE OF SATAN, TO REBUILD, TO CONQUER AND TO SET FREE. IF YOU’RE LOOKING FOR AN IGNORANT OR IMMATURED SAINT OR AN ANGEL TO COME AND RULE OVER YOUR NATION, YOU MAY WAIT IN VAIN. GOD CAN USE ANYBODY IN HIS SOVEREIGNTY TO ACCOMPLISH HIS PURPOSES! IF GOD CHOOSES TO USE A CROCODILE TO ACCOMPLISH HIS PURPOSE FOR NIGERIA, NO AMOUNT OF CONSPIRACY BY THE TROIKA OF LION, SHARK AND PYTHON CAN HINDER THE WILL OF GOD FROM COMING TO PASS. PrayersFire Ministry: 😭🙌🏾😭 I DON’T KNOW IF THE COMMANDERS OF NIGERIAN ARMY KNEW THE MEANING OF THEIR CODENAME FOR THEIR OPERATIONS. I DON’T KNOW IF THEY ARE AWARE OF THE FOUR PRINCIPAL POWERS THAT RULE NIGERIA FROM THE HEAVENLIES. BUT THESE OPERATIONAL CODENAME FOR THEIR WARFARE AGAINST INSURGENCY “CROCODILE TEARS” AND “PYTHON DANCE” ARE STRIKINGLY TUGGING AT THE HEART OF PRINCIPALITIES RULING NIGERIA FROM HEAVENLY PLACES. 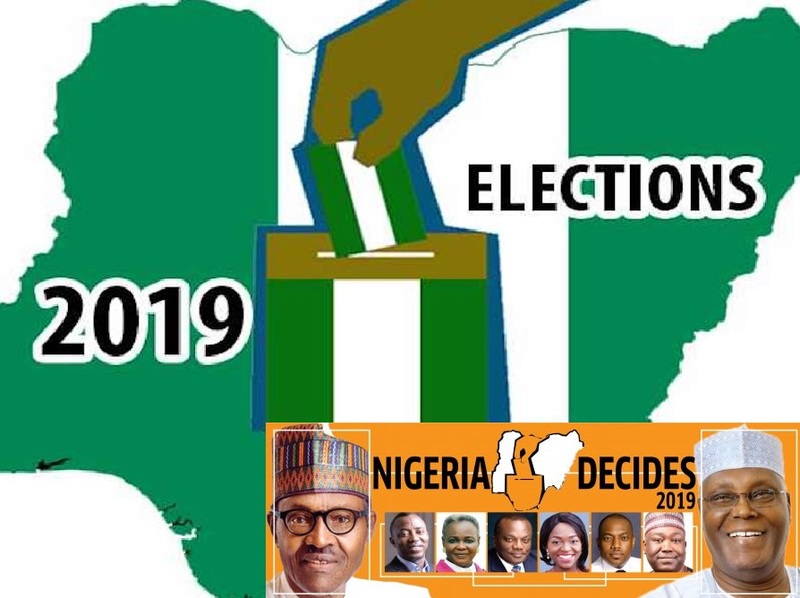 1 Comment on "THE COUNSEL OF THE LORD CONCERNING NIGERIAN ELECTIONS 2019"